When the Earth was young, there were far fewer souls to seed it. As the population grew the number of souls increased, but the first souls are the older souls and have the largest library of life contained within them. As time on Earth accrues, the soul becomes older with the experiences of happiness, suffering, love and loss. Every soul is a sculpture of past experiences. The older souls are denser, from the containment of so much experience. But this would not be obvious to the observer viewing the sculpture, and considering its physical condition. Some souls have been here longer. They have experienced more. You may not find them in positions of power or notability, for many had this long ago. They are here for a particular lesson that reflects what their soul needs, not what the body wants. They are here to learn about the soul and develop it for the next stage of existence. Their purpose is hidden and cannot be discovered through conventional means. Even the soul itself must have the purpose hidden from it, at least, for as long as it possibly can. This life must appear random and real to convince the participants. And it does. Subconsciously, these souls have a directive. They have a lesson to learn, one of many they have been learning with each journey here inside each body they use for travel. Comfort and accomplishment are not signs of an old soul. There are old souls who struggle their entire lives and live in turmoil, poverty or despair. They do not realize it, but they chose this life and this struggle because it was what was missing from their library. There are some who live a life of pain and anguish brought on by themselves and by others. They came here to shoulder the burden that others cannot endure because it is their soul, which is in need of it. They are here to care for those who need that place of refuge in this world of danger and cost. They are here to love the unlovable, and the most hated among us. They are protectors of souls in need, and are here to learn lessons we cannot imagine could be needed. They are rising to the challenge without ever knowing the long term purpose they fulfill for their soul and the souls of others. This physical realm is to be transcended. We are all at different stages of this. We all need different lessons to push us along in this transcending of dimensions. But here, we are all part of the human family and we all share the journey through this physical world. We share the same world and the physical needs that come from existing in this world. We live and we die, and we sleep in between. The young souls are industrious and eager, but spiritually chasing the self. Forgive them of this quality, for it is not of their doing. It is the way of the universe to require one must be young before they can be old. Their lack of wisdom and purpose is by design in order to require experience to learn them. The young need the old soul to be here, to show them how to sacrifice. They will not understand or venerate today, but they will remember them tomorrow, when they are ready and willing to grow. 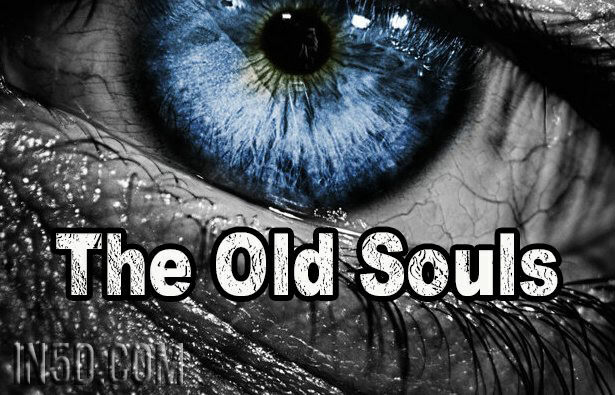 At a point near the end, when the old soul reflects on their life, they look at who they were to those around them. They look for the impact they had on others and how that added to who they will become. They look to see if they had made the sacrifice they were sent here for. It is the dreamer who sees our purpose is not what we accomplish in this physical realm or the obvious things we think are important, but the unseen work we do for the soul. They know this life is but a journey for the soul inside the mirror. They recognize; the spirit and conscious world are what matters. These are the children of the stars; these are the dreamers.